Mountain Biking at Whitewater Active means fun. 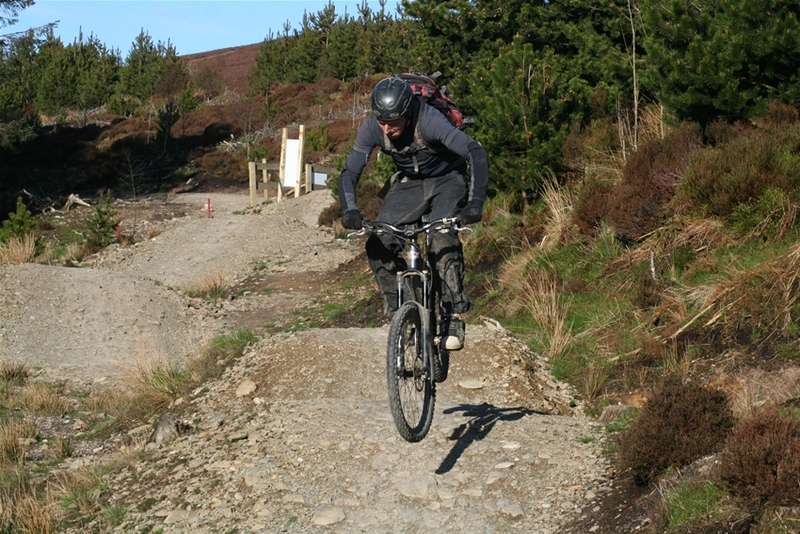 Guided rides, learn to mountain bike, bike repairs or bike hire. We have it all here. North Wales is a mecca for bikers. Whatever your tastes from Down-hilling to cross country, canal tow-paths to steep forestry we have it all. We can offer you our experience over the course of a weekend or just guide you on some of our favourite trails. We have a range of bikes to suit your needs or you can bring your own. This is one of our most popular sessions, during the session you will follow our instructor on one of our local trails. By the end you will be guaranteed to have sampled some local downhill, some scenic uphill and tasted some Welsh mud. This is similar to a half day ride but more of it. During the day you will get the chance to try out two different styles of riding. 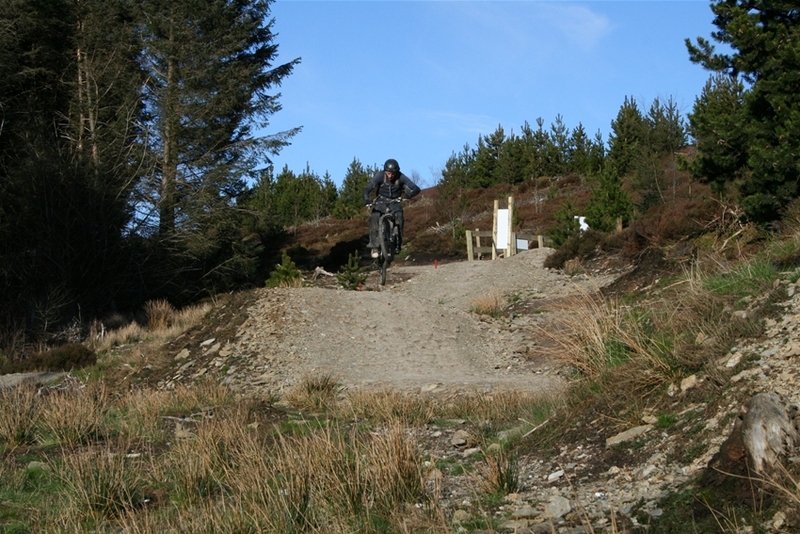 Firstly we will try out a natural trail where you will experience some Welsh cross country then we will head off to one of the local manmade centre’s such as Coed Llandegla or The Marin Trail. This course is specifically designed for people who would like to go out biking with their mates but don’t know any routes or how to find them. During the two days we will cover navigation, route finding, bike maintenance and planning. We will ride some local trails and some manmade routes. At the end of the course you will be able to handle yourself on a variety of routes, navigate round the countryside and sort your bike out if and when it goes wrong. Price: £195 per person. Based on minimum 4 people. This includes 2 night Bed and Breakfast at a local Bunkhouse, equipment, tuition and transport to the different venues. 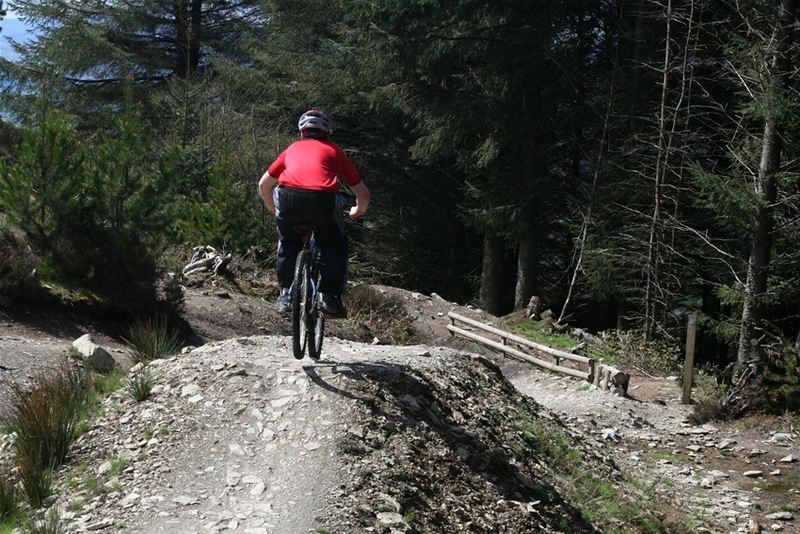 Mountain bikes : £30 for a full day. Kids Bikes : £30 for a full day. Bike trailers: £11 a day. Proof of I.D. is required to hire any bikes. We will also need a credit card as a deposit. Whats included? 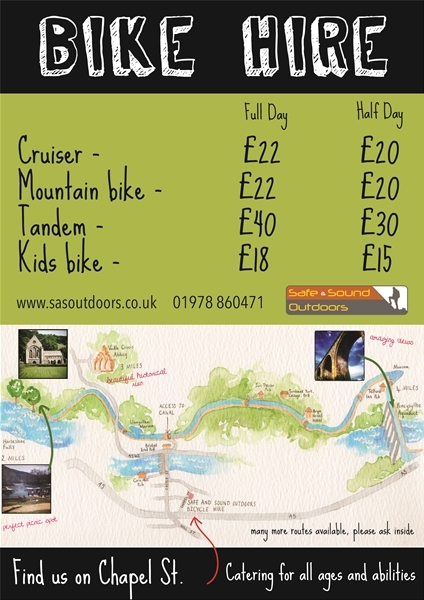 : We provide all equipment and instruction except for bike hire (maps are available). What do I need? : You need to wear suitable footwear and weather appropriate clothing. Is this available all year round? : Yes, we run 364 days a year. (Only Father Christmas work on that day). Do I need to be fit? : Not at all, there are many routes around Llangollen suitable for all abilities.